Coatings have been used for decorating and suffusing objects and surfaces for the past 60000 years. These were used for several purposes such as to add a colour, impart a protective layer, ‘plaster’ a surface, imprint a pattern or create an identity signage. A primitive person had many objects that could receive the coatings. These objects were natural, reformed or produced ones. The objects had different sizes, shapes and surfaces. The surfaces had characteristic textures, porosities, base-colours and patterns (grains, patches, stains, etc.). 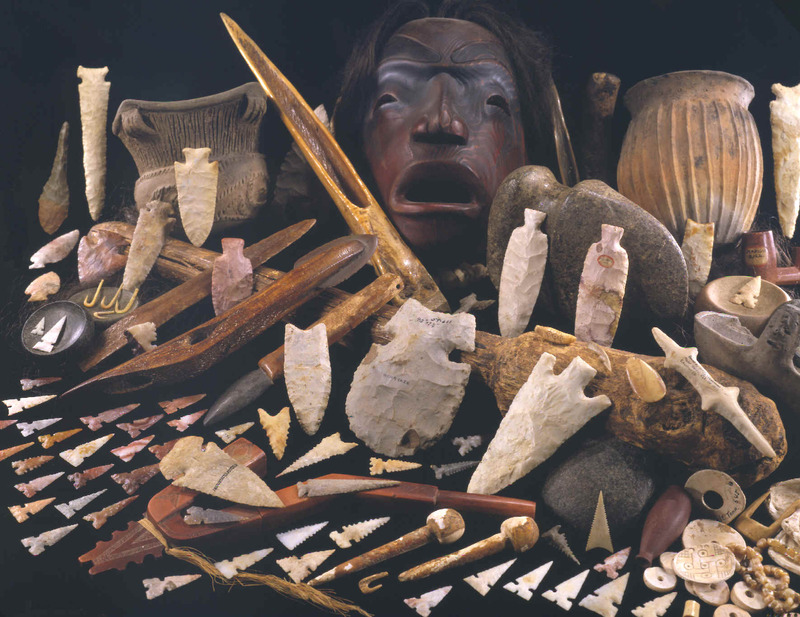 The objects were own body skins, hairs, and nails. Animal products like teeth, animal hides, furs, bones, and teeth. Minerals’ items like sands, clays, stones, rocks, precious stones, and sea shells. Plant items such as dry leaves, grasses, seeds, dried fruits, fibres and woods. The manufactured range of items included clay products, ceramics and metals. The surfaces were prepared to receive the coating. Hides were cleaned and shaved by heavy rubbing. Body surfaces were oiled to receive the colourants. Walls were washed and wetted prior to coating application. Bones were ground to remove the sheen and make surface slightly rough and absorbent. Stones and woods were polished or scrapped. Raw and baked clay products were re-fired after coating. Leaves were rolled and flattened and dehydrated at the green stage by burying in layers of ash or sand. The coatings’ materials were of natural origins, such as available off the ground, or from animals and plants. But the coating materials were processed by filtering or sieving, washing, cleaning, decanting, boiling, singeing, and sintering. The act of coating was intentional, done with a sure purpose. But the resultant effects were wondrous, something that gave a new purpose to the artefact. The art of drawing and the technique of coating, was seamless process of magic. A process to express, what the postures, gestures or spoken language could not do. 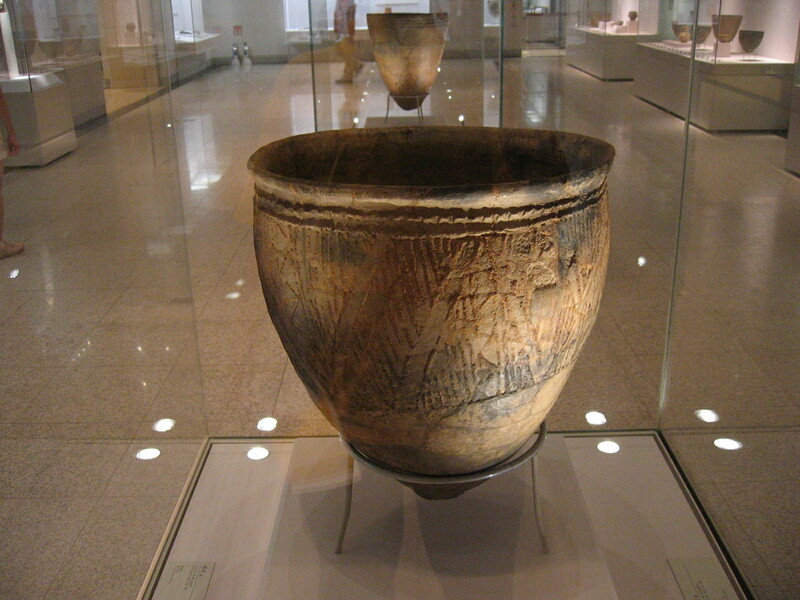 Coating techniques and materials of the primitive age are still being used in many situations, and so continue to be relevant. Blood is perhaps the earliest colourant, as a fresh liquid it has very rich colour. It was a colour to represent the vibrancy of life and metaphorical power over the kill. Blood, however, is biologically degradable material, dries to a darker shade, and has very weak colour-integrity. Wood coal is a dry colourant, easy to handle. It requires a textured base for ‘rubbing-in’ or a binding liquid to form an applicable paste. Carbon (Lamp) black -a deposition collected over burning fat or oil, is much better due to oil content. Whites were procured from metallic oxides and carbonates. Lime is most common everywhere. Other whites included talc, whiting and barytes. Iron oxides are equally common, and have many different hues (such as yellow ochres, browns of sienna and umber, red and black oxides). Oxides are very stable, and have ‘deep’ saturated colours. 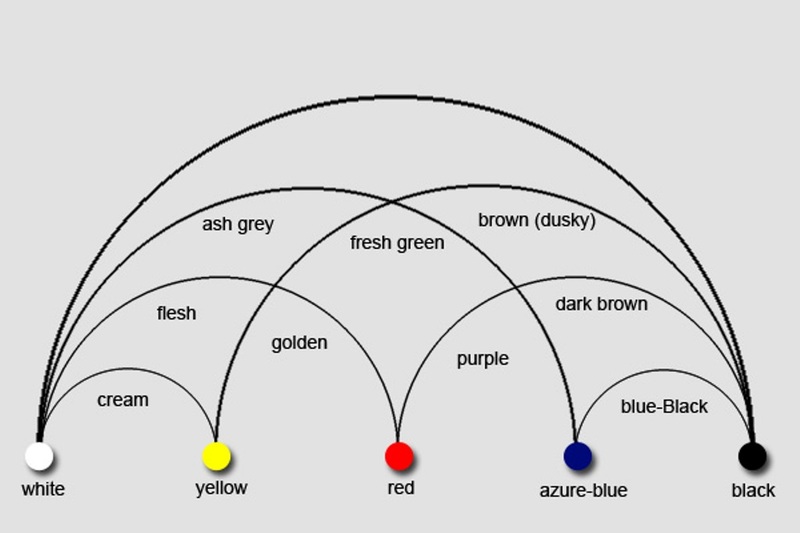 In this palette of colours, the notable absence was Blue and Green. Blue and green appeared very late in the form of Lapis lazuli and Malachite (copper carbonate hydroxide). Brilliant Red that could represent the fresh blood, and Brilliant Pink of the meat were also absent. Purple was nearly unknown. The absentee colours were sourced from plant juices and natural dyes, but had poor colouring strength or low opacity (transparent), sun light fading, and biodegradable colours so were not long lasting. The primitive colourants were mostly of dry powders or soft rocks. These had no binding capacity. Mineral pigments were heavily rubbed on the surface to trap them in the micro cavities of the surface. Liquid juices could absorb into the surface. Some form of binding material or technology was needed. Water has temporary binding capacity and can be used as a carrier agent. To fix colours plant oils, mutton fats, fish oils, etc. waxes, and plant latexes were used. These substances except the wax were ‘non-drying’ and remained wet for a long time. The wet surface attracted dust and trapped insects. 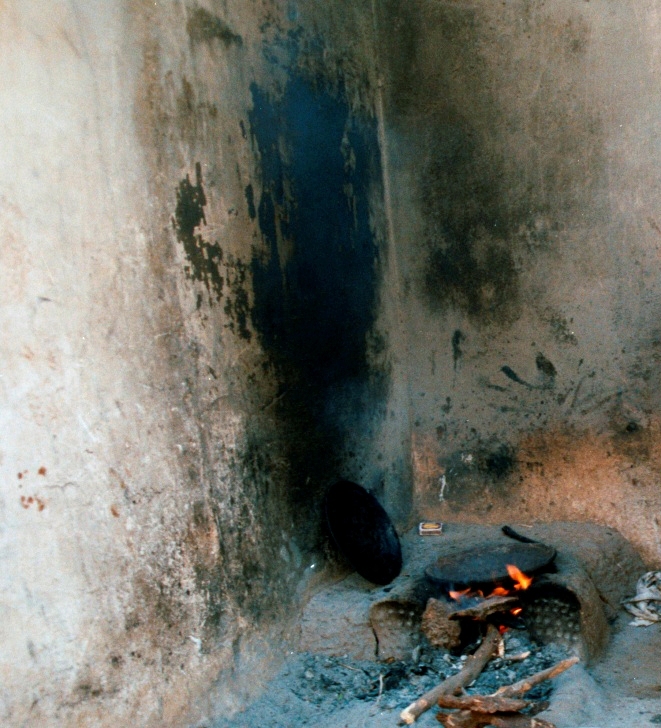 The oily substances biologically deteriorated, and on oxidation turned darker in colour. Proteins-based materials like blood, eggs, milk, urine, and starches were also used as binding materials. Plant and insect exudates or natural gums had binding properties but were highly hygroscopic (affinity with water) materials. Plant milks or latexes, like materials, were also used. Wax was used to mix with pigments and as a protective layer. Wax and natural Creosote were used to protect wood and leather surfaces. Number of cementing substances were used for coating or plastering. Mud plasters, slaked lime and Pozzolana (volcanic) ash, were materials that had binding properties. Colouring these substances, or coating over it (fresco style) required large quantities of materials, or concentrated pigments. Lime when mixed with a colourant imparted a white shade creating a ‘pale’ effect. Pozzolana had darker colour so made the colourant several shades darker. Plastering and daubing, were frequently used to prepare a better surface for a wall painting. 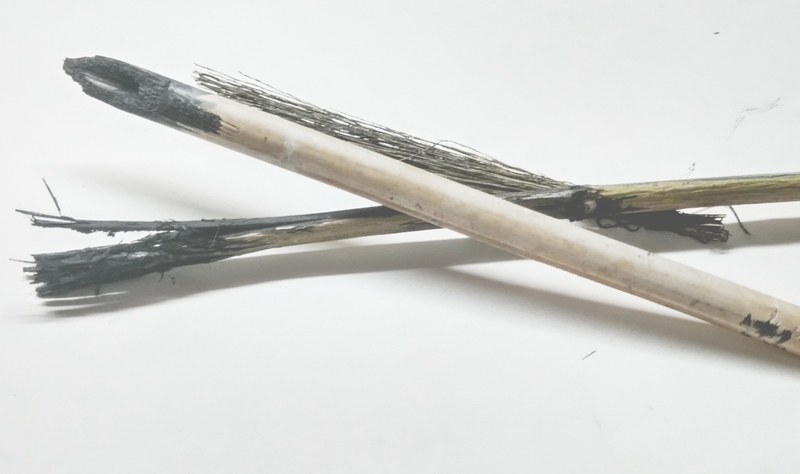 Primitive binding materials can be categorized like, 1 Materials that are water reducible, water resistant and hygroscopic, 2 Air drying and non drying, 3 Non water-based materials. The primitive age craft of coating can be summed up as 1 Surface preparation, 2 Application of the coating, 3 Applying tonal variations or shades, and 4 Covering the surface with water protective coat, usually of oils or other transparent materials. The process of application of colourants or the coating system was adapted to the nature of the base surface, as much as to the type of colourants and binders. Primitive coating applications are varied. 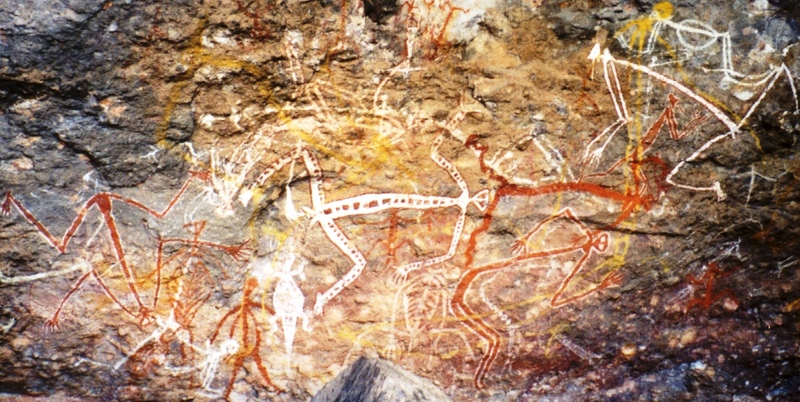 The simplest way of marking cave walls art was to make finger-nail traces in the soft layer of clay covering the rock. Lime stone walls were engraved and filled in with iron oxide (Hematite, or ochre), or the black pigment such as the manganese or charcoal. 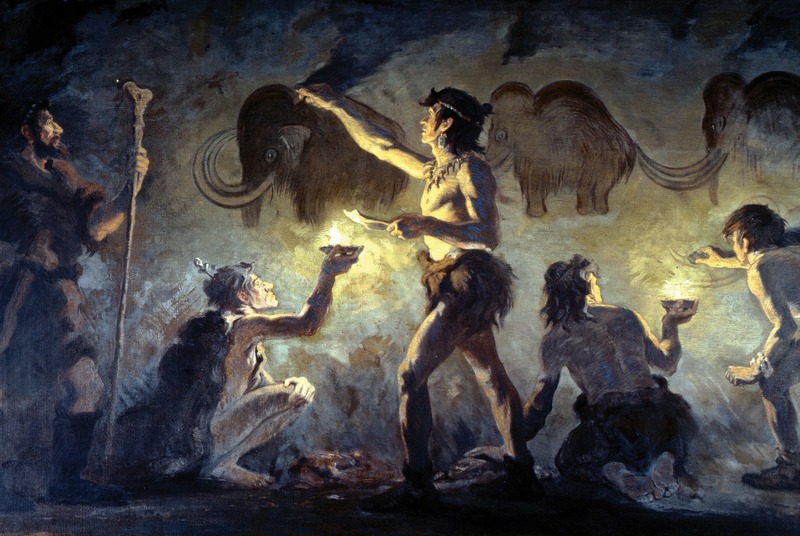 Analysis of cave wall art pigments, reveal the use of extenders (dull or low opacity powders) such as talc or feldspar, to increase the bulk of pigments. The coating also shows traces of animal and plant oils, used either for binding or as a protective covering. 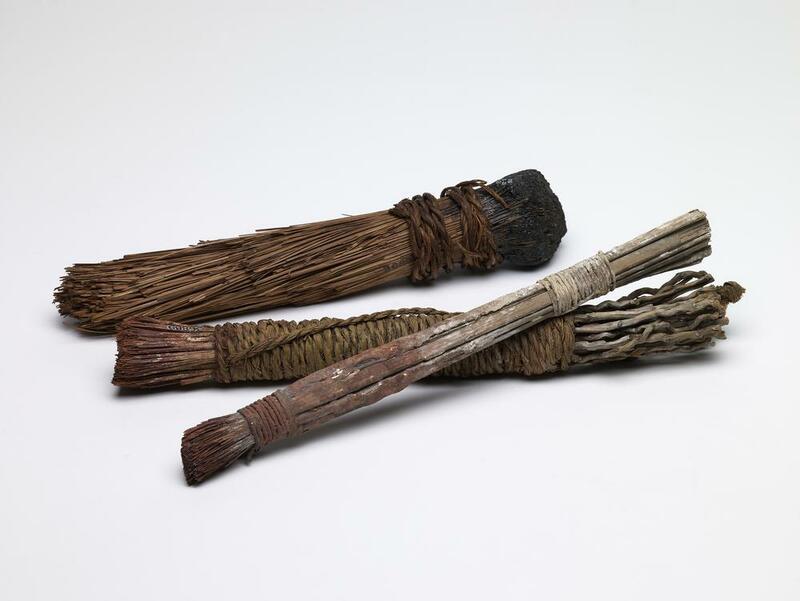 The pigment in paste form was applied with fingers, and also tools like fiber pads, animal-hair brushes or crushed twigs. Lumps of pigment discovered on the floor of caves were perhaps used as crayons, or were grinding onto colour powder. Colours were often sprayed, from the mouth or through a tube. A network of ladder, supports and scaffolding was used to reach the ceilings and upper portions of walls. Light was provided by hearths, or portable burning torches. The coated surfaces were ground to achieve a sheen on the surface or re-coated with a protective layer of egg-whites, oils or fats. 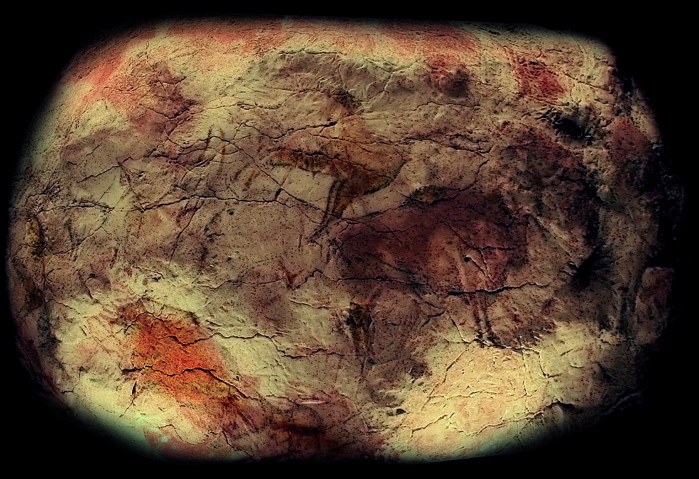 The earliest known use of colourants dates back to 70000 years, whereas Cave wall art is about 40,000 years or older. BC. Lascaux, an underground cave, 17300 BC, located in SW France, has walls and ceilings, decorated with some 1,500 engravings and about 600 paintings in shades of yellow, red, brown, and black. The subtle tonal gradations of colour on animals painted in the Altamira and Lascaux caves appear to have been dabbed in two stages with fur pads, natural variations on the rock surface were exploited to create the effects of volume.